Many years ago, the founders of Einstein Fitness looked around the fitness industry and wondered why it was hard to find excellent products and service wrapped in a premium experience? Other industries had such options available. Apple in consumer electronics, Lexus & Mercedes in Automobiles, and Louis Vuitton in fashion. The fitness industry had its share of manufacturers that fit the bill: Precor, True Fitness, & LifeFitness all manufactured premium fitness equipment, but unfortunately did not have the premium distribution system that typically pairs with a premium product and provides the consumer a premium experience. Apple created their own retail experience, Mercedes and Lexus control the service level of their distribution partners to an extreme extent, while fashion brand Louis Vuitton coupled with know service brands like Neiman Marcus to give their customers an outstanding experience. The owners of Einstein Fitness decided to create an experience comparable to other premium brands in the context of fitness equipment. First we went out and recruited Precor. A brand world famous for their attention to design, quality and innovation. Next we broke down the fitness equipment shopping experience looking at the motivations of our customers, their needs and desires in selecting potential equipment, and finally we applied our years of experience in creating a maintenance program to service their needs in the future. Einstein Fitness has designed our shopping and service experience around a concierge model. We schedule individual appointments in a secluded showroom that gives our customers an opportunity to view, use, and experience our fitness equipment in a private atmosphere. Instead of a demonstration on a showroom floor, we encourage our customers to try out all of their potential purchases, conduct full workouts and make sure that the equipment you select is the right machine for you. Einstein Fitness is here for you. 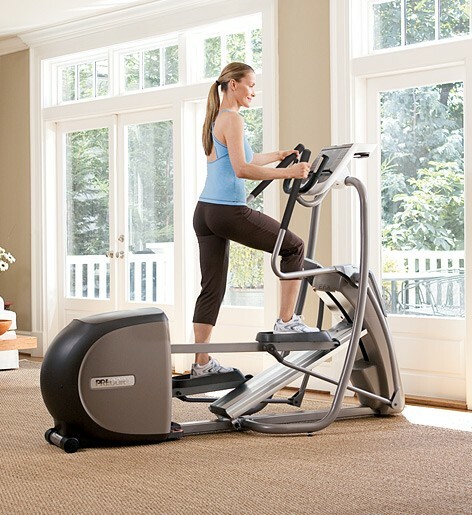 Our service technicians have over 50 years of combined experience in servicing and maintaining exercise equipment. We are ready and willing to go the extra mile in making sure you are completely satisfied with your purchase. We also provide high quality Treadmill Doctor accessories and maintenance supplies to make sure your equipment runs at peak efficiency at all times. If you have any additional questions please use our contact us page. We will be happy to assist you in any way we can.